Dwayne Johnson is an American producer, actor and semi-retired professional wrestler. He was born in Hayward, California, Unites States on 2nd May, 1972. He is also known by his ring name, called The Rock. The full name of Dwayne is Dwayne Douglas Johnson. 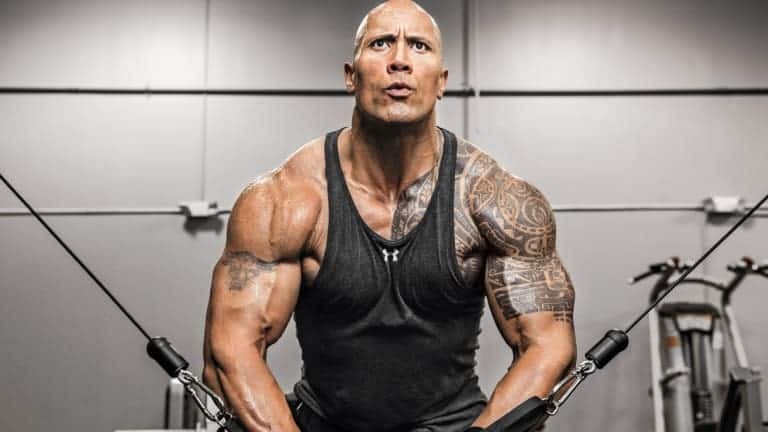 Height of Dwayne Johnson is 6′ 3½” (1.92 m) with intricate tattoos and rock-hard muscles. 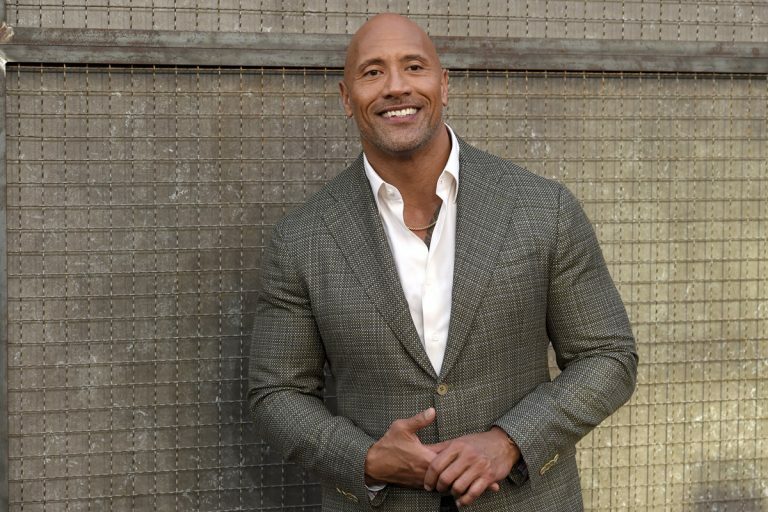 Dwayne Douglas Johnson was a college football player in the University of Miami. In this place, Johnson won a national championship on 1991 Miami Hurricanes team. After being cut from the Calgary Stampeders of the CFL two months into 1995 season, he began the training of wrestling as professional career. He followed in the footsteps of family members including his grandfather Peter Maivia and his father Rocky Johnson, from whom he inherited the Canadian citizenship in the year 2009. Dwayne Johnson has widely regarded as one of the greatest professional wrestlers of all time. Dwayne gained mainstream fame in the World Wrestling Federation (WWF, now WWE) from 1996 to 2004 and was promoted as the first third-generation wrestler in the company’s history. He returned to WWE part-time from the year 2011 to 2013 and continues to make occasional appearances on the program. He is an eight time WWF/WWE Champion, two time WWF Intercontinental Champion, two time WCW/World Champion and a five time WWF Tag Team Champion. Dwayne Douglas Johnson is the sixth Triple Crown Champion in WWE and won the 2000 Royal Rumble. His autobiography The Rock Says… debuted as No. 1 on The New York Times Best Seller list in the year 2000. Dwayne’s first leading film role was in The Scorpion King in year 2002. He was paid 5.5 million dollars, which is a world record for an actor in his first starring role. One of his more prominent recurring roles is Luke Hobbs in Fast and the Furious franchise. He hosted and produced The Hero, a reality competition series and has since continued to produce the TV shows and films. Namely, his production company is Seven Bucks Productions. In the year 2013, Forbes listed him No. 25 in the Top 100 Most Powerful Celebrities and he has been in top twenty every year since. He was the world’s highest-paid actor of year 2016. Time named him one of the 100 most influential people in the world in year 2016. In the year 2015, Muscle & Fitness named him “Man of the Century”. Lauren Hashian is the wife of The Rock. Lauren Hashian was born in Lynnfield, Massachusetts on September 8, 1984. Besides being the longtime, live-in girlfriend of Dwayne Johnson, Lauren Hashian is also the daughter of rock-n-roll. Her father is John “Sib” Hashian, who has been the drummer for the rock band Boston since the year 1975. Not much is known about Hashian’s personal life because she and The Rock are very private people. Lauren Hashian is a singer and songwriter like her father, having co-written the song Only You for YaBoi Shad. She has kept mostly out of spotlight and has only ever walked a few red carpets. How long have Dwayne and Lauren Hashian been together? Lauren Hashian met The Rock while he was filming The Game Plan 2007. Dwayne was previously married to Danny Garcia from 1998 to 2007. The couple has a 16 year old daughter together, Simone Alexandra Johnson. Johnson is a big proponent of including his eldest daughter Simone Alexandra in everything they do, and Lauren Hashian is supportive in her step-mother role. Lauren Hashian has two daughters with The Rock. Their first daughter, Jasmine Lia Johnson, was born in December, 2016. They welcomed their second daughter, Tiana Gia Johnson in April, 2018. This Christmas, The Rock posted a photo of himself with his youngest daughters. Both daughters Jasmine and Tiana, in matching red outfits, are held up in their dad’s embrace. 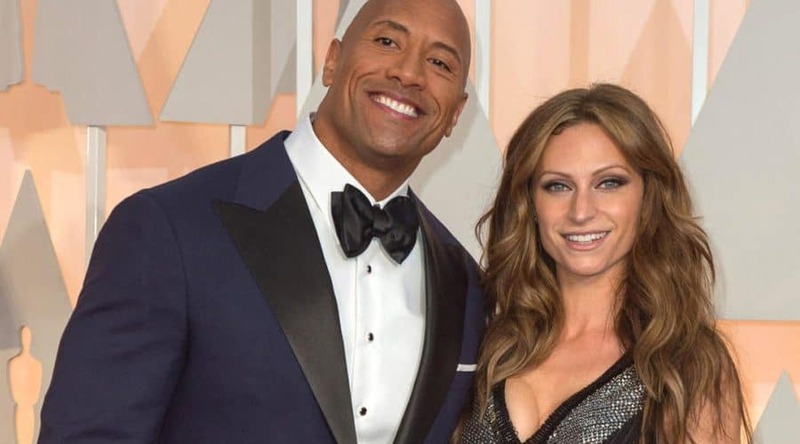 Dwayne got sentimental in his caption, as he wrote: “I ain’t gonna be able to hold them like this forever…” The wrestler turned actor went on to discuss how he “snatches them up” every chance he gets because he does not want to miss time he still can. Another Instagram photo shows Dwayne Johnson getting his face painted by his daughter, Jasmine. The little girl is carefully painting her dad’s face.